My research work falls into two inter-related themes: a) Business and Development "this work questions the role of business in development focusing on business impacts on issues such as poverty, corruption, transparency, health; the alignment of business objectives and development goals; business potential and limits as development agents; and scaling up of social innovations that create systemic change. My current research projects under this theme include i) Extractive Industries and Sustainable Community Development: The work examines an integrated approach to community engagement beyond philanthropy and social investment programmes to include issues such as Gender equality; Operationalizing Free, Prior, and Informed Consent; Accountability; Contractual agreements and Local content policies. Ii) The Global Value Project: This is an FP7 project funded by the European Union. Our work examines the impact of MNCs on global development and value creation. I lead the case study on 'Poverty and gold mining in Tanzania'. Iii) Business-NGO partnerships in Strengthening Healthcare Provision in Tanzania: The project is funded by the University of Nottingham SPARK fund. The work examines social partnerships around a social issue, the interconnected nature of actors role in value creations, and the nature of innovations towards the delivery of transformative social change in the health sector in Tanzania. Iv) Women on Boards in Kenya : Kenya is one of the seven countries in the world to legislate the per cent threshold of women on boards. The project collates data on publicly listed companies and their gender statistics over the past ten years b) Theorising Sustainability and Responsible Business in Developing Countries "I am interested in understanding how sustainability and responsible business are theorised in developing countries; how various actors make sense of CSR; a comparative analysis of CSR practice in developing versus developed world and what might account for this. Current research projects include i) Africapitalism Project" The work funded by Tony Elumelu foundation seeks to deepen the intellectual foundation of the 'Africapitalism', an economic philosophy introduced into the business lingua by Tony Elumelu, that embodies the private sector's commitment to the economic transformation of Africa through investments that generates both economic prosperity and social wealth. The work involves investigating how 'Africapitalism' is enacted in practices among indigenous companies and by indigenous African entrepreneurs ii) Business Social Responsibility among SMEs from Emerging and Developing Countries - This is an ESRC funded project whose aim is to re-examine the concept of CSR as applied to SMEs; the predictors, outcomes and mediators in the CSR-SME relationship. Iii) Responsible Management Education " the project advances research and partnership that support business schools in developing countries to embed CSR in education and research. One of the products is the 'Introduction to Sustainable Supply Chain' module in partnership with the International Labour Organization (ILO). Muthuri, J. 2004, "Employee Volunteering, Social Capital and Sustainable Development", at Greening of Industries Network, Hong Kong, November. Gold, S., Muthuri, J.N. and Reiner, G. (2018), "Collective action for tackling \&quot;wicked\&quot; social problems:a system dynamics model for corporate community involvement", Journal of Cleaner Production, Vol.179, pp. 662-673. McCarthy, L.; Muthuri, J.N, (2018), "Engaging Fringe Stakeholders in Business and Society Research: Applying Visual Participatory Research Methods", Business and Society, Vol.57(1), 131 -173. Whelan, G.; Muthuri, J. N, (2017), "Chinese State-Owned Enterprises and Human Rights: The Importance of Intra-Organizational Pressures", Business and Society, Vol.56 (5), pp. 738-781. Muthuri, J. N; Moon, J.; Idemudia, U. (2012), "Corporate Innovation and Sustainable Community Development in Developing Countries", Business and Society, Vol.51 (3), DOI 10.1177/0007650312446441. Muthuri, J. N; Gilbert, V. (2011), "An institutional analysis of corporate social responsibility in Kenya", Journal of Business Ethics, Vol.98 (3), pp. 467-483, DOI:10.1007/s10551-010-0588-9. Muthuri, J.; Chapple, W.; Moon, J. (2009), "An integrated approach to implementing 'community participation' in corporate community involvement: lessons from Magadi Soda Company in Kenya", Journal of Business Ethics, Vol.85 (2), pp.pp 431-444. Muthuri, J.; Matten, D.; Moon, J. (2009), "Employee volunteering and social capital: contributions to corporate social responsibility", British Journal of Management, Vol.20 (1), pp.75-89. Muthuri, J. (2008), "Participation and accountability in corporate community involvement programmes: a research agenda", Community Development Journal, Vol.43 (2), pp. 177-193. Muthuri, J. (2007), "Corporate Citizenship and Sustainable Community Development: Fostering Multi-Sector Collaboration in Magadi Division in Kenya", Journal of Corporate Citizenship, Vol.28 (December), pp. 73-84. Muthuri, J. (2005), "What Obligations do Firms have to be 'Socially Responsible'? ", Opini�n Sur, Vol.28 (August). Amaeshi, Kenneth; Muthuri, Judy N., Ogbechie, Chris, (2019), ed Incorporating Sustainability in Management Education: An Interdisciplinary Approach, Palgrave Macmillan. Spence, L., Frynas, G.J, Muthuri, J. and Jyoti, N. (2018), ed Research Handbook on Small Business Social Responsibility, Edward Elgar Publishing. Amaeshi, K., Muthuri, J.N., and Ogbechie, C. (2019), "Introduction", in Incorporating Sustainability in Management Education: An Interdisciplinary Approach, 1-7, Palgrave Macmillan. Spence, L., Frynas, G.J, Muthuri, J. and Jyoti, N. (2018), "Introduction", in Research Handbook on Small Business Social Responsibility, 1-19, Edward Elgar Publishing. Muthuri, J. N;, (2012), "Corporate Social Responsibility in Africa Definition, Issues and Processes", in Lituchy, T.; Punnett, B.J. ; Puplampu, B. (ed) Management in Africa Macro and Micro Perspectives, Taylor & Francis Ltd.
Muthuri, J. N, (2010), "CSR in Kenya", in Visser, W.; Tolhurst, N. (ed) The World Guide to Corporate Social Responsibility, Sheffield, Greenleaf Publishers. Muthuri, J. (2008), "Creating Opportunities for Sustainable Community Development: The Case of Magadi Soda Company in Kenya", in Hamann, R.; Sprague, C. (ed) The Business of Sustainable Development in Africa: Human Rights, Partnerships, and New Business Models, pp. 208-221, South Africa, Unisa Press Book. Muthuri, J. (2007), "Defining Employee Volunteering", in Matten, D.; Pohl, M.; Visser, W. (ed) The A to Z of CSR: The Encyclopaedia of Corporate Social Responsibility, John Wiley & Sons, Inc..
Muthuri, J.; Mwaura, K. (2006), "The Digital Divide and CSR in Africa: The Need for Corporate Law Reform", in Visser, W.; McIntosh, M.; Middleton, C. (ed) Corporate Citizenship in Africa, Sheffield, Greenleaf Publishing. McCarthy, L.; Muthuri, J. N, 2015, "Facilitating Voice and Agency of Fringe Stakeholders in Corporate Social Responsibility Research: Does Participartory Visual methods Hold Some Promise? ", in IAABD Annual Conference, 13-16 May, Ghana. Frimpong, K.; Muthuri, J. N; Sarpong, F. 2014, "The Relative Importance of CSR Dimensions among Employees in Developing Countries: The Case of Ghana", at IAABD Annual Conference, 26-29 May, Barbados. Muthuri, J. N; Moufahim, M. 2014, "Corporate Governance and Corruption in Africa: Unmasking the Scadals within Coope Motor Corporation (CMC) in Kenya", at Africa Academy of Management (AFAM) conference, 8-11 January, Botswana. Mwiti, F.; Muthuri, J. N, 2014, "Consumers Perceptions of Corporate Social Irresponsibility and Responsibility: A Kenyan Perspective", at IAABD Annual Conference, 26-29 May, Barbados. Muthuri, J. N, 2013, "Business and Development in Ghana: Leverging on Social Responsibility to Achieve Millennium Development Goals", at 14th IAABD Annual Conference, Ghana 14-18 May. Muthuri, J. N; Kilimo, .. 2013, "The Role and Contribution of Private Sector towards the Realisation of Kenya Vision 2030", at Second International Conference on HRM and the Mangement of Organisatins in Africa, Nottingham University Business School Conference, 6-7 September, Nottingham. Moreno, A.L. ; Muthuri, J. N, 2012, "The contribution of Corporate Social Responsibility (CSR) to the achievement of the Millennium Development Goals (MDGs) in Mexico", at at the 10th ICCSR Anniversary Conference, Nottingham University Business School Conference, 26-27 April. Muthuri, J. N, 2012, "The State of Corporate Social Responsibility in Africa", at at International Academy of African Business and Development, Morocco, 15-19 May..
Whelan, G.; Muthuri, J. N; De Bakker, F.; De Hond, F. 2012, "Incomplete Globalizations, Institutional Distance, and Corporate Directed Activism: The Problem of Human Rights and Chinese SOEs", in at the 10th ICCSR Anniversary Conference, Nottingham University Business School Conference, 26-27 April. Moon, J.; Muthuri, J. N; Orlitzky, M. 2010, "New Strategies for Corporate Community Investment: Implications for Stakeholders Engagement", at Academy of Management Conference, Montreal, Canada. Muthuri, J. N; Huang, J. 2010, "Sustainable Development through Metal Recycling in Africa: Lessons from the Chinese Metal Industry", at (IAABD) conference, 18-22 May, Nigeria. (Best Paper Award in the Operations and Supply Chain Management Track)..
Whelan, G.; Muthuri, J. N; Bakker, F.; Hond, F. 2010, "Human Rights, Sudan and China National Petroleum Company: Can Activism Make a Difference", in 26th EGOS Colloquium, Waves of Globalization, Lison. Muthuri, J.; Gilbert, V. 2009, "Corproate Social Responsibility in Kenya: Drivers, Issues and Processes", at International Academy of African of Business and Development (IAABD) conference, 19-23 May, Uganda. Muthuri, J.; Moon, J. 2009, "Corporate Citizenship and the Reconstruction of Governance Roles and Relationships", at Academy of Management Conference 7-12 August, Chicago, USA. 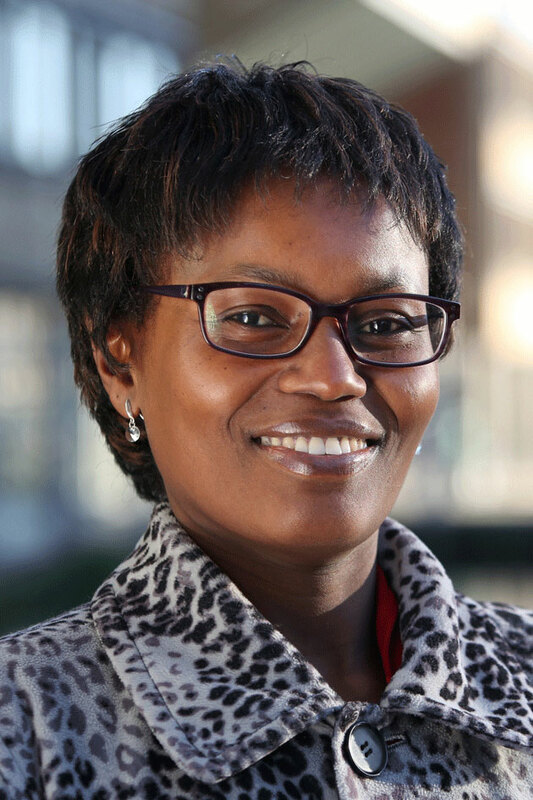 Muthuri, J.; Mwiti, F. 2008, "The Limits of 'Srakeholder Democracy' for Kenyan Consumers", at International Academy of African of Business and Development (IAABD) conference, 20-24 May, Florida, USA, Best Paper Award in the Law, Social Responsibility and Ethics Track. Muthuri, J.; Mwiti, F. 2007, "Cause-Related Marketing as Corporate Social Responsibility or Marketing? A Survey of Fast Moving Consumer Goods Manufacturers in Kenya", at International Academy of African Business and Development, London, 29 May-2 June. Muthuri, J. 2006, "Sustainable Employee Volunteering Programmes as a Corporate Social Responsibility Strategy", at Corporate Social Responsibility and Reporting East Africa Forum, Nairobi, 30 August. Muthuri, J.; Moon, J.; Chapple, W. 2006, "Community Participation and Corporate Community Involvement of Magadi Soda Company: Changing Governance in Business-Societal Relations", at International Academic Symposium on Corporate Citizenship, Accra, 21-22 November. Muthuri, J. 2005, "Employee Volunteering and Corporate Citizenship: The Creation of Social Capital", at International Academy of African Business and Development, Dar-es-Salaam, 6-9 April. Muthuri, J.; Moon, J.; Matten, D. 2006, "Employee Volunteering and the Creation of Social Capital", ICCSR Research Papers Series. Muthuri, J. 2010, "Earth Matters: Indigenous Peoples, The Extractive Industries and Corporate Social Responsibility", in Canadian Journal of Development Studies, pp. 323-324.